One of the final keynotes from the 2018 Blockchain Unbound Conference featured an unusual sight: a presenter watching himself on the big screen to help make a major announcement. 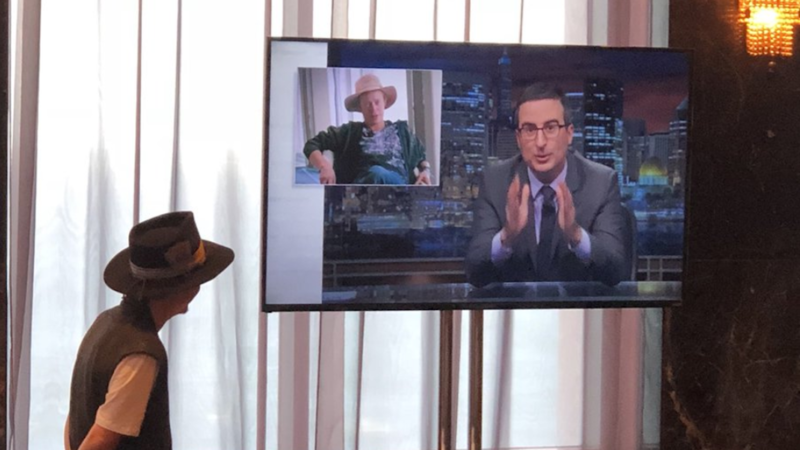 Last Sunday, Brock Pierce was the subject of the latest episode of “Last Week Tonight with John Oliver.” The episode featured lots of Blockchain and Digital Currency related topics, but dedicated a special segment to Pierce, a Blockchain pioneer. It was certainly good to see him have a sense of humor about a piece that was constructed for education, but also comedic value. #RestartWeek was a great start to introducing the Blockchain community to the recovery efforts of Puerto Rico and we’re looking forward to attending future efforts, as well.